On January 27, 2018 from 0800-1400 local time Loudoun County ARES coordinated with Loudoun County Emergency Operation Center to conduct a simulated emergency generated by a Tsunami off the West African coast. This information provided here was for a Simulated Emergency Test and not an actual emergency! The Simulated Emergency Test (SET) was held on January 27th from 0800 until 1400 hours local time. This drill was a combined Skywarn, hospital, agency and Amateur Radio emergency communications-training event. Both Skywarn and EmComm activities ran concurrently. This event is not designed as a surprise activation. Earthquakes, tornadoes, EMPs etc occur with little or no warning. This Tsunami will require 10 hours to arrive on the east coast when coming from the Canary Islands. 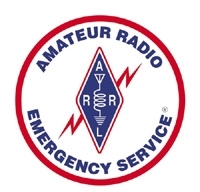 The primary goal of this drill was to test and improve emergency communications capability of Amateur Radio in Loudoun County. Secondly we want to enhance the working relationship between Amateur Radio and served government, non government agencies and volunteer agencies. This testing was under simulated emergency communications conditions that are realistic for the location and season of the drill. The drill was successfully conducted with a briefing and de-briefing at the end of the exercise. It is our plan to provide a full report of the event as soon as we can. For more information on the details of the idea behind this drill you can find it here. Local hospital radio installation is complete.